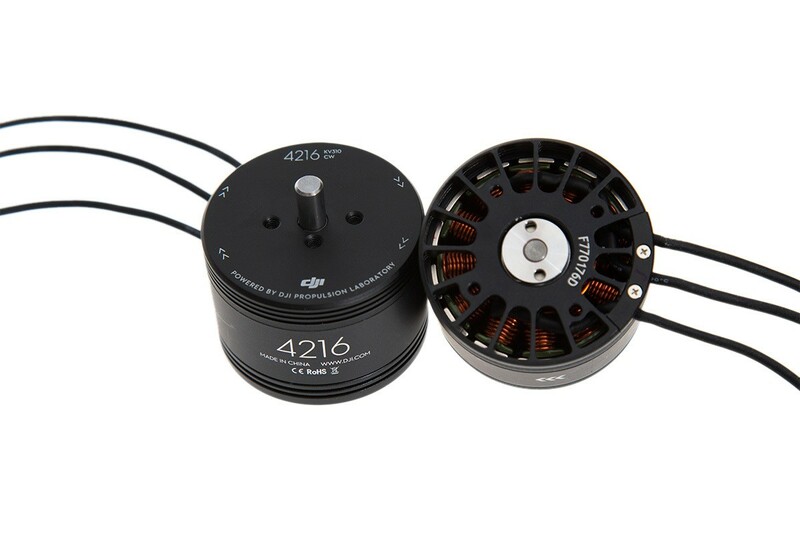 The E1200 4216 motor is designed to give each arm between 1.2-1.4 kg of thrust and is designed for ultimate efficiency and flight safety. The high quality materials used in the E1200 range of motors guarantees the motor quality. 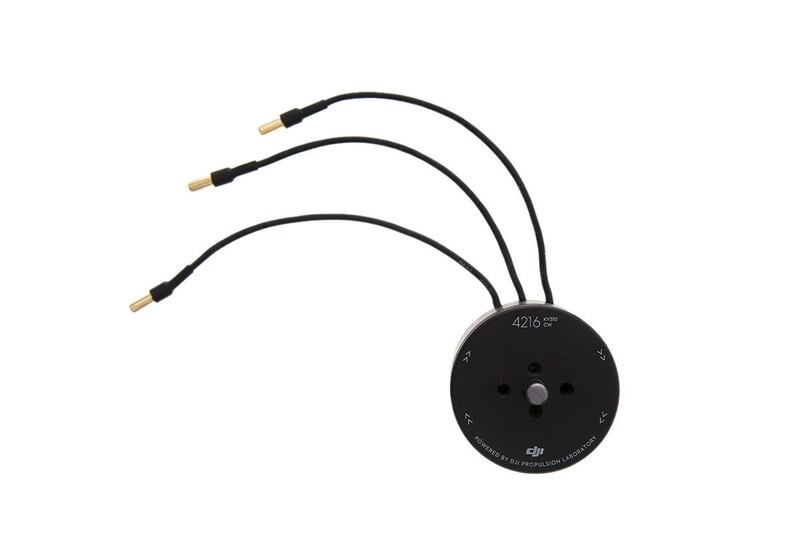 The E1200 4216 has the single strand winding technology, this ensures uniformity and a tight, neat arrangement over the stator. These motors go through a strict and thorough testing procedures ensure their reliability. There is a built-in centrifugal fan on each motor, this provides active cooling and extends lifetime of the motor. The grid-shaped structure at the top of the motor allows for adequate ventilation while keeping dust and other debris out. The4216's ribbed base enlarges the heat dissipation area by 200-300% and effectively enhances the passive cooling power of the system. The E1200 4216 motor delivers consistently high performance even in extreme working conditions and temperatures up to 60˚C. 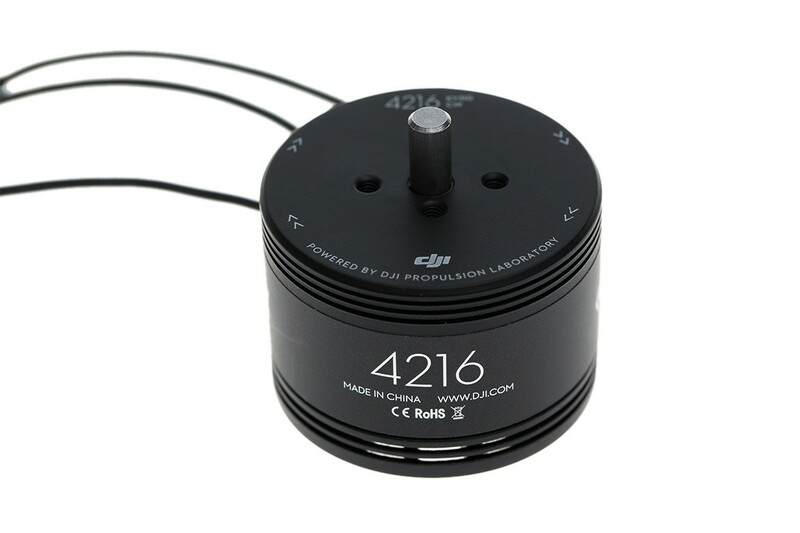 This motor should be used with the DJI 640S ESC and the 1760 propeller for the best performance.